Col Solare, which means "shining hill" in Italian, is the exciting joint venture between two influential wine producers who are recognized leaders in their respective regions: Washington State’s Chateau Ste. Michelle and the legendary Marchesi Antinori of Tuscany. 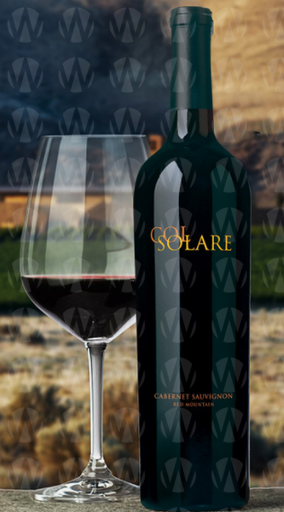 Col Solare’s mission is to unite these two unique viticultural and winemaking cultures to produce a Cabernet Sauvignon-based red wine from the very best grapes of the Columbia Valley, a wine that will age for decades but is also meant to be enjoyed soon after purchase. Col Solare’s state-of-the-art winery on Red Mountain opened in 2007, and is currently open to the public by appointment for tastings and tours of our winery and estate vineyard. Visitors are welcome in small groups for tours and tastings, by appointment only. Please call the winery to learn more about our special visitor experiences and to make appointments.